After stopping at the Visitor Center, we took a short hike for our first view of the canyons from which the park derives its name. 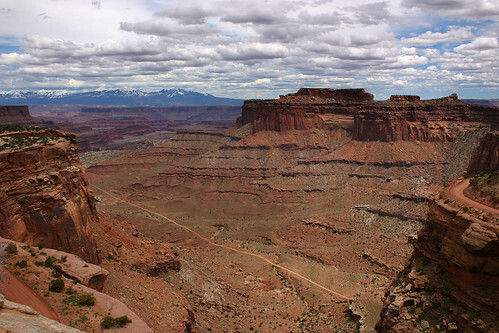 This viewpoint overlooks Shafer Canyon which leads to the Colorado River. This entry was posted on April 29, 2008 at 8:42 pm and filed under Canyonlands, Canyonlands National Park, canyons, Colorado River, Moab, National Park, Shafer Canyon, Utah, vacation.